﻿ How to Recover Lost Files From Damaged, Formatted or RAW Drive? How to Recover Lost Files From a Formatted, Corrupt Partition or RAW Drive? If you're looking for a file you recently deleted, you should try the Deleted File Recovery first. It's fast and in most of the cases can find your file. If the deleted file can't be found by Deleted File Recovery or the lost file is on a formatted, corrupt partition or RAW drive, you should try Deep Scan Recovery. Deep Scan Recovery will deeply scan your drive or device with advanced scanning technology to find every recoverable file. It performs sector-by-sector scanning, so it will takes more time and find much more lost files. User Guide: How to use Hasleo Data Recovery to Recover Lost Files From a Formatted, Corrupt or RAW Drive? Launch Hasleo Data Recovery and select Deep Scan Recovery mode. Choose the hard drive or device where you lose your files and click on "Scan" button to start the deep scan recovery process. 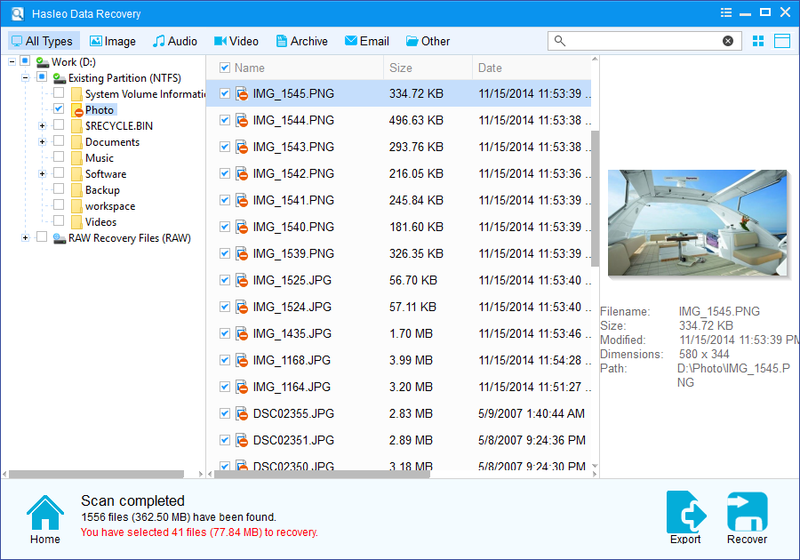 After scanning, you can easily locate the files you want to recover by path and file types. Before you decide to save them, you can preview the files to check their quality and detailed information. 1. Don't save the recovered files to the partition where your lost files originally located. This prevents your data from geting overwriten. 3. 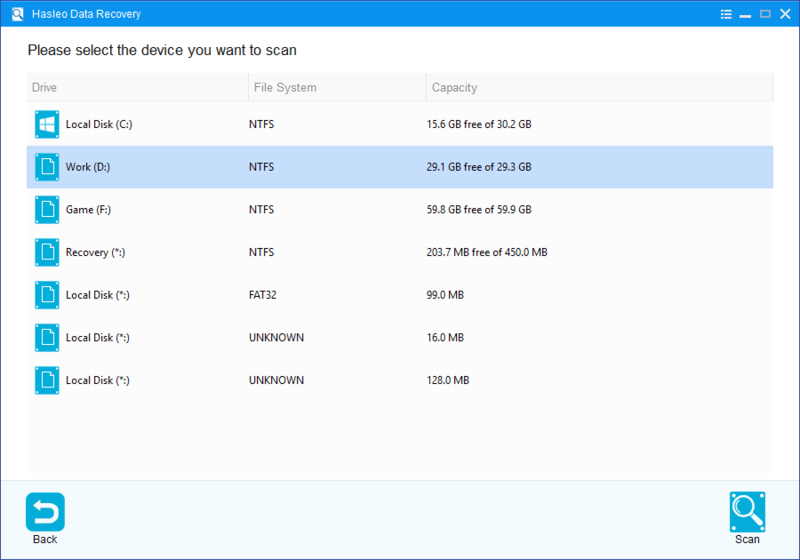 You can export/save the scanning results for later or next recovery. How to recover a deleted or lost partition in Windows 10/8/7/XP? How to fix/repair "CHKDSK is not available for RAW drives" error? 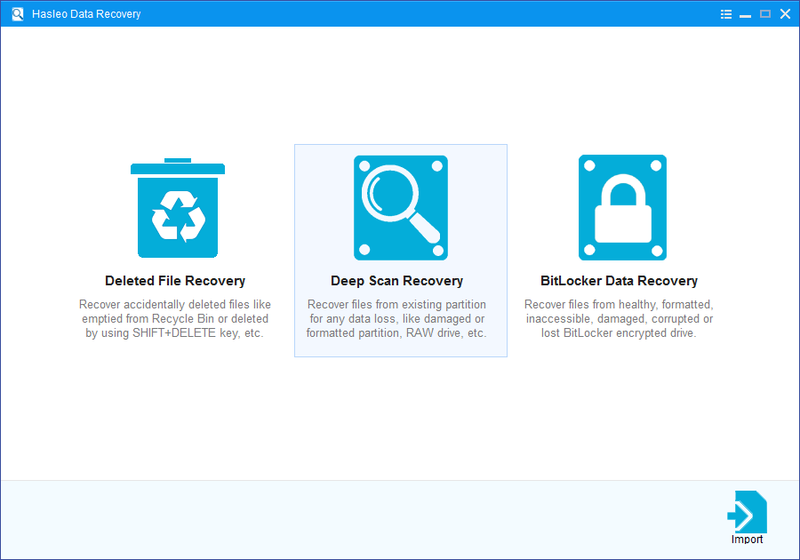 How to Recover Deleted/Lost Files From BitLocker Encrypted Drive?